SAP’s $8 billion acquisition of Qualtrics may help put customer experience on the CIO’s agenda. Your ERP system knows what you're making, who you're selling it to, and how much they're paying — but perhaps not what they think of it, or you. It’s time it did. That’s the message SAP is sending with its $8 billion acquisition of Qualtrics, an online survey company that pitches itself as a customer experience management specialist. SAP is looking to Qualtrics to provide its customers with a source of real-time insight into their customers’ feelings, which they can then marry up with the operational data they already hold on the business they are doing together. Over the years, SAP and other vendors of ERP (enterprise resource planning) systems have extended their software suites beyond core financials to encompass manufacturing, sales and customer relationship management (CRM). Customer experience management is the next step. Whereas CRM is about logging interactions with customers and tracking whether they lead to a sale, customer experience management is about identifying whether customers are happy with those interactions, and how to make them better. 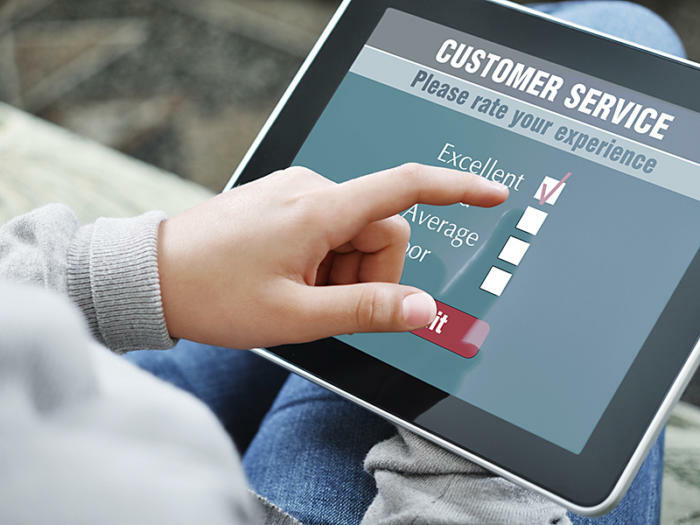 In a lot of organizations that have customer experience practices, that work is a function of marketing or service operations, said Faith Adams, an analyst serving customer experience professionals at Forrester. Keeping the data in the marketing department can generate insight into how interactions could be improved — without providing the tools to improve any one interaction in particular. CIOs who are leading digital transformations are already shifting to a more customer-centric mind-set than has been typical of the traditional CIO role. For these CIOs, customer experience playbooks, such as customer journey maps, are becoming vital tools. If customer experience vendors have been talking to chief marketing officers up to now, SAP’s relationship with its customers’ CIOs will change that, at least for Qualtric. SAP, too, has been talking the talk for some time now. In June it launched C/4HANA, a cloud-based suite of customer experience tools built on its in-memory database, and in September said it would link C/4HANA with Adobe's Customer Experience Platform and Microsoft's Dynamics 365 using a single data model in Microsoft’s Azure cloud platform. “This is part of a march larger customer data play, but they're a little late to the game compared to, say, Salesforce,” Adams said. Whether SAP can pull Qualtrics together with the rest of its software cloud is something that concerns Adams. SAP has said that Qualtrics will operate as an entity within SAP’s Cloud business group under its existing leadership, including CEO Ryan Smith, and expects Qualtrics’ growth to accelerate once it has access to SAP’s 15,000-strong sales force and 413,000 customers. SAP must have an idea how to extract value from the deal, though. The $8 billion it offered is 20 times Qualtrics’ annual revenue, and many more times earnings — “an insane multiple,” according to Adams. “Qualtrics are good, but they’re not best in breed in their category, especially for enterprises,” she said. One reason for that is that Qualtrics has its roots in the academic market and has had difficulty scaling its analytics platform to deal with the massive quantities of data enterprises handle. SAP, on the other hand, is known for its enterprise scalability, Adams said, so this is a chance for it to fix the problem by giving Qualtrics additional resources. Other vendors that Adams sees doing a better job than Qualtrics in targeting various parts of the enterprise include Clarabridge, Medallia and InMoment, a customer feedback platform. “Clarabridge, when it comes to text analytics, is better than Qualtrics,” she said. Ultimately, the opportunity for SAP – and for CIOs – in customer experience management is this: The available tools can connect to CRM platforms such as Salesforce or Dynamics, or pull in data from helpdesks and website analytics, even spreadsheets, said Adams. You have to apply a lot of additional technology to integrate it, and that could be simpler. At least now SAP will be well equipped to ask customers how they feel about that process.